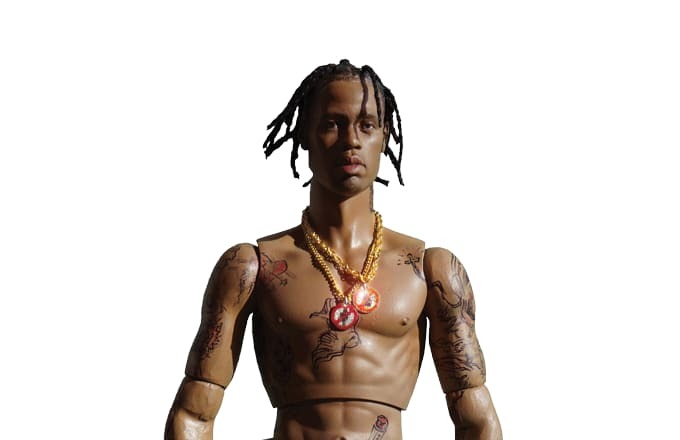 Travi$ Scott&apos;s debut album Rodeo finally arrived in stores last week, yet the biggest question behind it was the availability of the highly detailed action figure that was prominently featured on the cover. We no longer have to wait, as pre-orders have gone up for the figure. Priced at a hefty $150, the action figure is a pretty accurate representation of the cover artist, right down to the tattoos. It isn&apos;t known if there will be any other accessories included, but the orders will start being shipped in October. Pre-order the figure here.